This interdisciplinary collection of writings by and about Arab women is the first that focuses explicitly on Arab women’s often-fraught engagement with the boundaries that shape their lives in the twenty-first century. Women's transgressive behaviors and perspectives are challenging societal norms in the Arab world, giving rise to anxiety and public debate. Simultaneously, however, other Arab women are unwillingly finding themselves labeled "bad" as authority figures attempt to redirect scrutiny from serious social ills such as patriarchy and economic exploitation, or as they impose new restrictions on women's behavior in response to uncertainty and change in society. Bad Girls of the Arab World elucidates how both intentional and unintentional transgressions make manifest the social and cultural constructs that define proper and improper behavior, as well as the social and political policing of gender, racial, and class divisions. The works collected here address the experiences of women from a range of ages, classes, and educational backgrounds who live in the Arab world and beyond. They include short pieces in which the women themselves reflect on their experiences with transgression; academic articles about performance, representation, activism, history, and social conditions; an artistic intervention; and afterwords by the acclaimed novelists Laila al-Atrash and Miral al-Tahawy. The book demonstrates that women's transgression is both an agent and a symptom of change, a site of both resistance and repression. 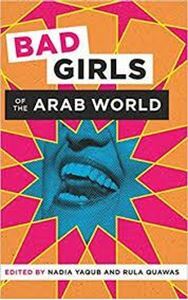 Showing how transnational forces such as media discourses, mobility and confinement, globalization, and neoliberalism, as well as the legacy of colonialism, shape women's badness, Bad Girls of the Arab World offers a rich portrait of women's varied experiences at the boundaries of propriety in the twenty-first century.